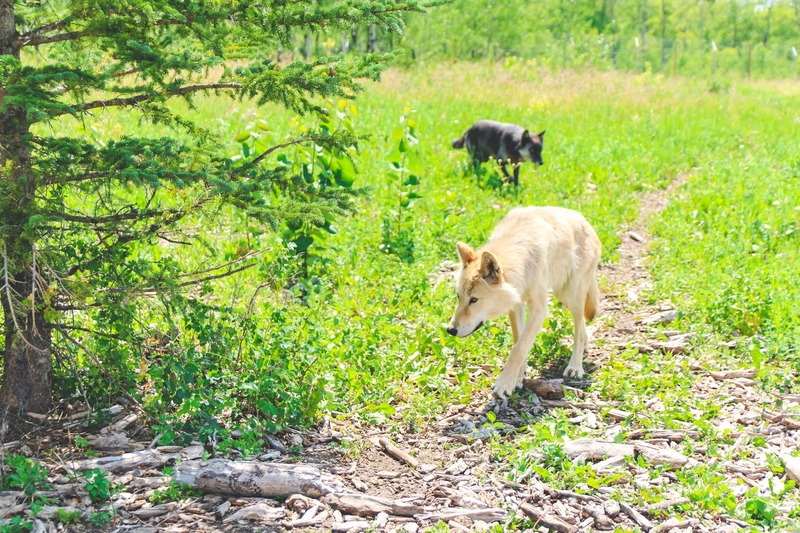 I am a huge animal lover so when someone on Facebook mentioned that there is a wolfdog sanctuary on the way to Banff National Park, it immediately got my attention. 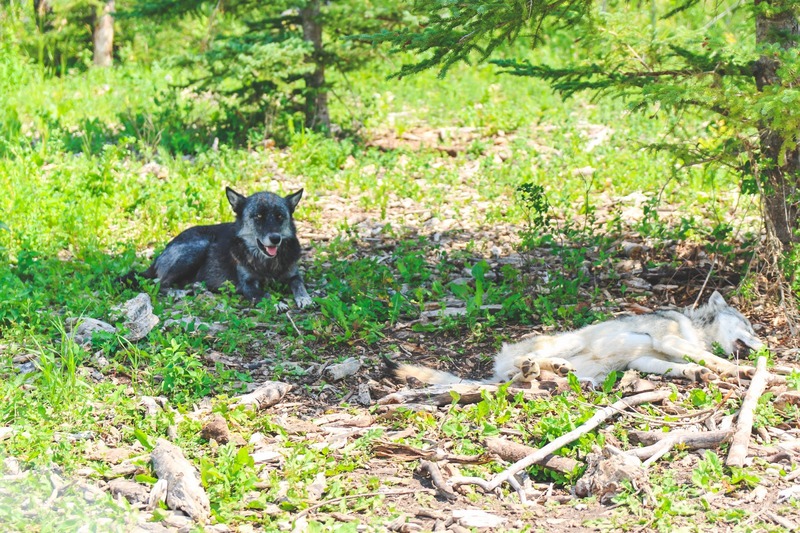 Yamnuska Wolfdog Sanctuary is located 45 minutes from Calgary International Airport and about an hour from the town of Banff. 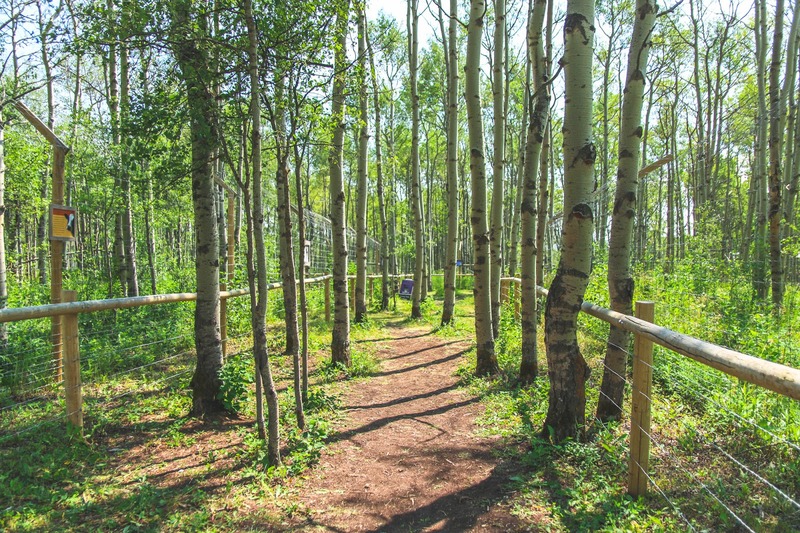 The sanctuary is only six years ago, but is one of the largest in Canada. In Canada, if a dog is at least 1% dog then it is legal to have as a pet. Which means you could legally have a wolfdog that is 99% wolf in your house or backyard. A lot of people start out thinking it would be cool to have a "wolf" as a pet but as the wolf gets older and start to portray its wolf traits, people quickly realize that having Ghost or Nymeria inside their house isn't the best idea (a little Game of Thrones reference for you). 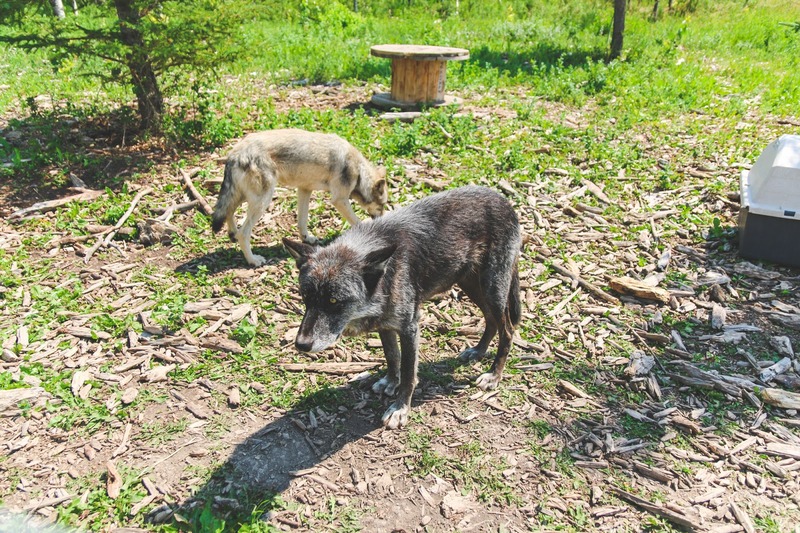 When people abandon these wolfdogs, it becomes a problem. 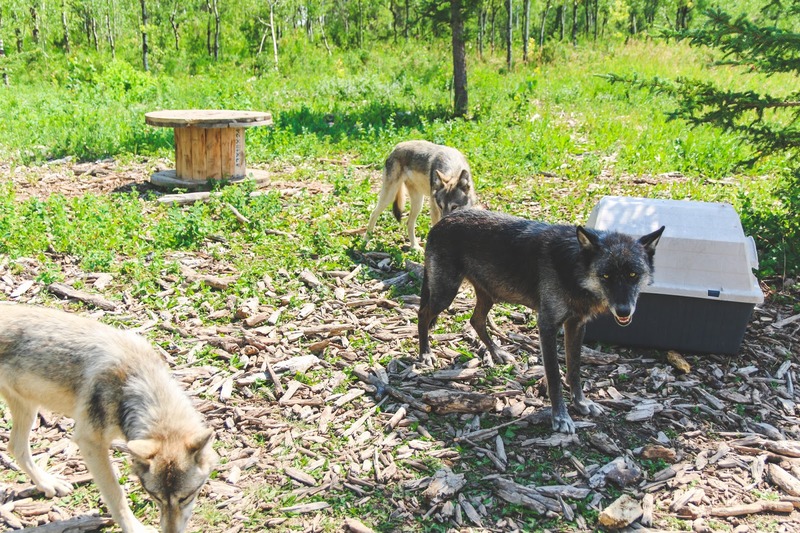 The wolfdogs cannot survive in the wild and they do not belong in a house, so where do they go? 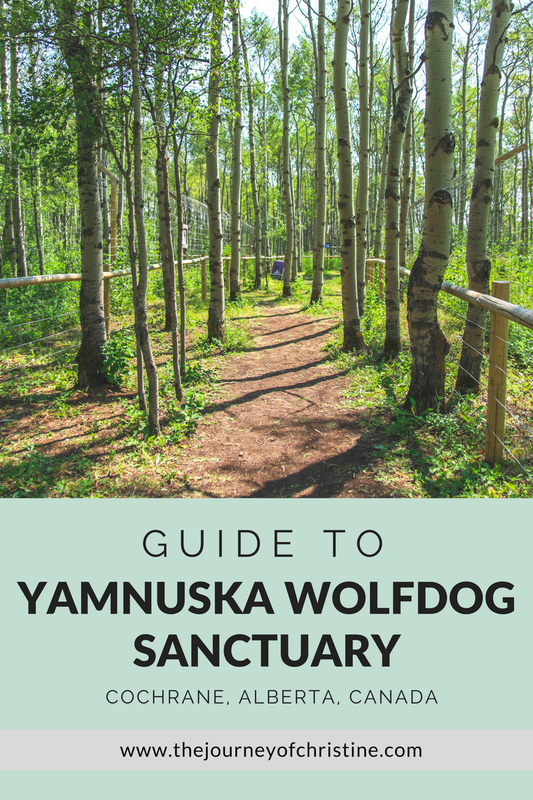 This is where the Yamnuska Wolfdog Sanctuary come in. 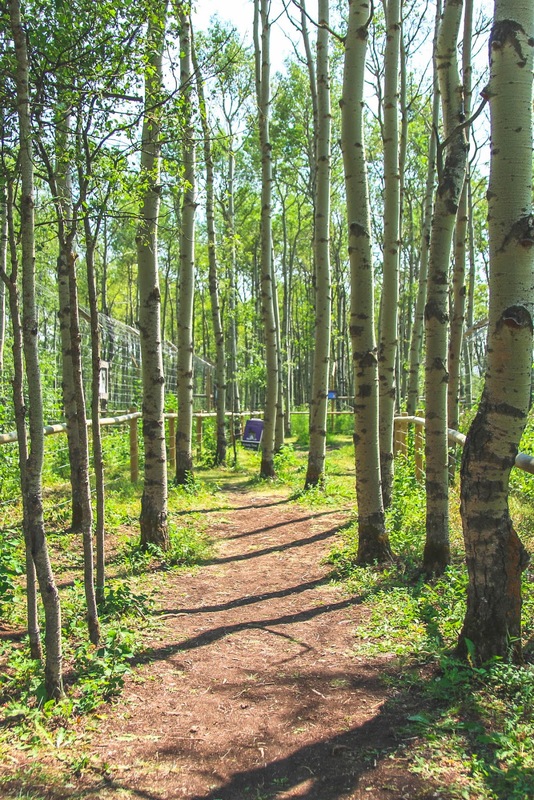 They provide these beautiful creatures large natural enclosures that vary from 1-2 acres in size, and importantly provide them with a safe, stress free environment. 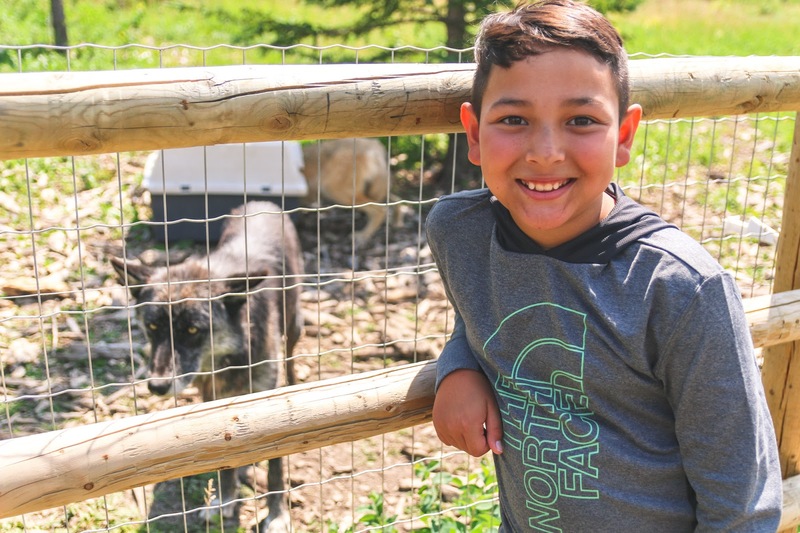 Yamnuska Wolfdog Sanctuary offers different tours for all ages. 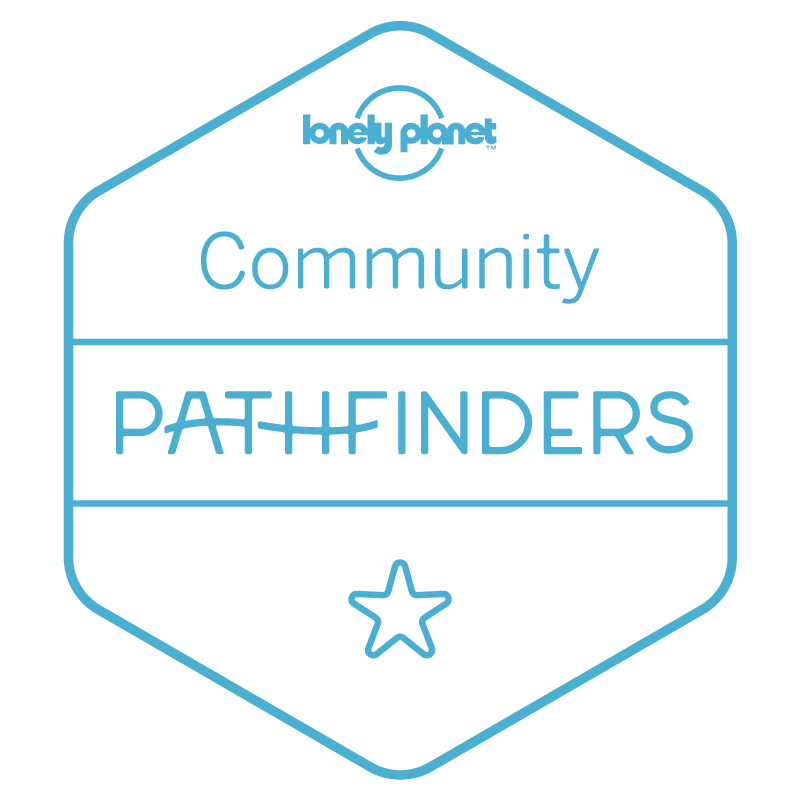 There is a Sanctuary Walk tour which gives you access to the sanctuary and lets you can walk the grounds at your own pace. 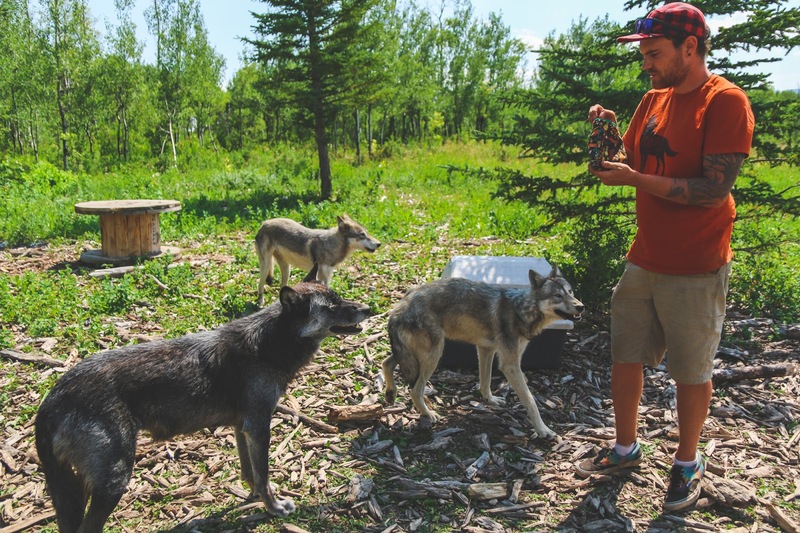 There is an Intro Tour which offers a guide and lets you inside one of the enclosures but there is no wolfdog interaction (minimum age is 12 years old). 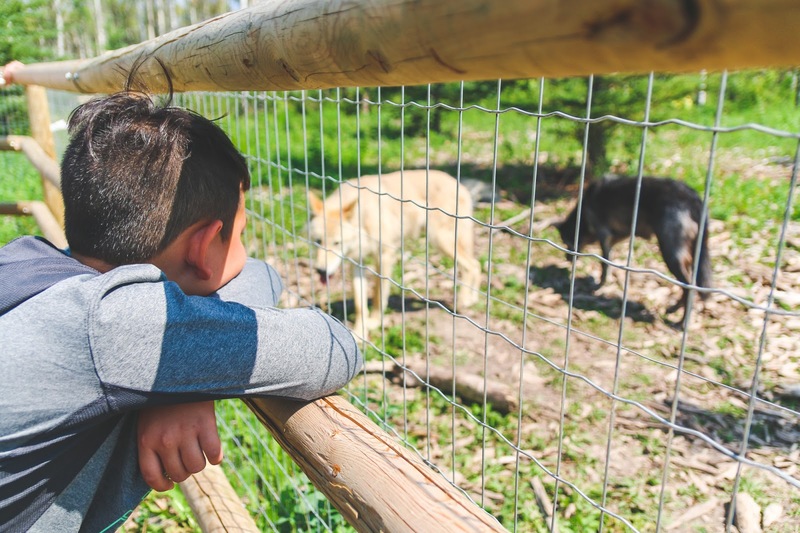 Last, there is a Interactive Tour which also offers a guide and lets you inside one of the enclosures plus you also get to interact with the wolfdogs (minimum age is 15 years old). Since Aiden is only 12, we did the Intro Tour and it was super informative and it was cool to see the wolfdogs that close up. Wolfdogs as a whole, are super standoffish especially with humans. That is one of the main difference between a dog like the one in your house right now and a wolfdog. 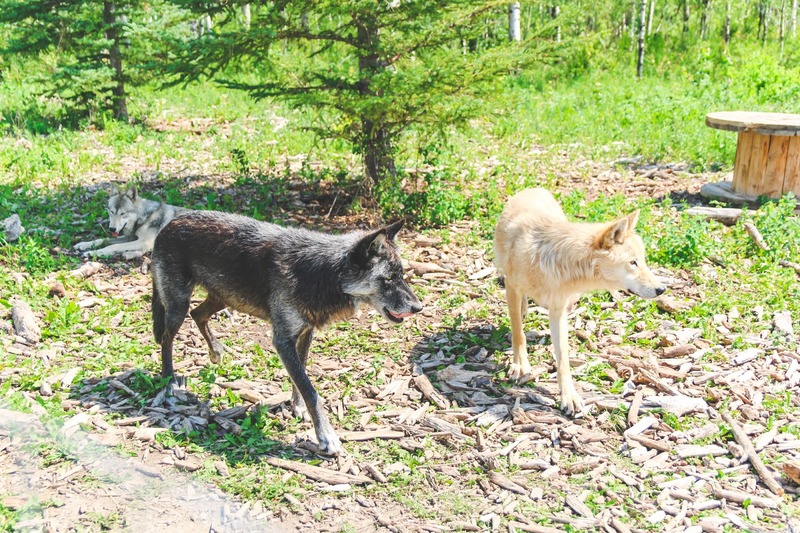 The wolfdogs in the enclosure where they give the Intro Tour were brought to the sanctuary as puppies, so they are more accepting of humans. 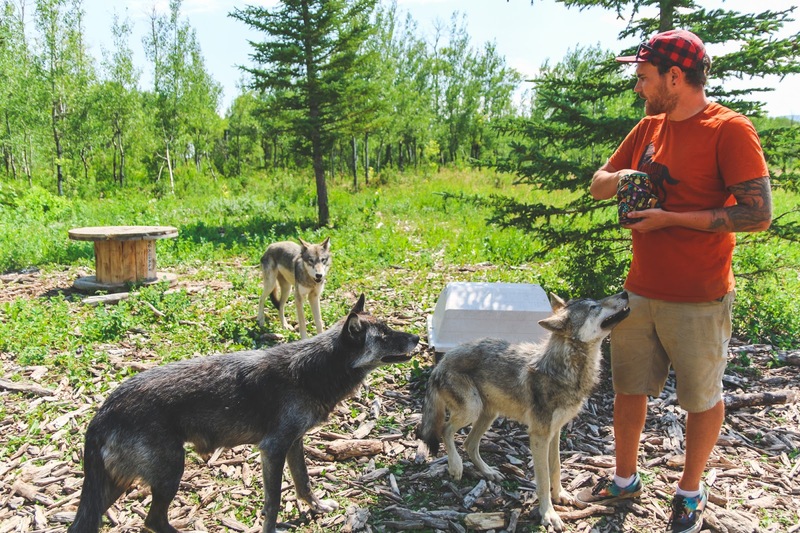 Some enclosures have wolfdogs that were brought in much later and if they saw you walking close to the fence, they would scurry back into the woods. Fun Fact: If you're a Game of Thrones fan, you know (and love) Ghost, Jon Snow's direwolf. Well his cousin is a resident at this sanctuary. The black wolfdog in the pictures below is Kaida. She is a high content wolfdog and is the alpha in her pack (girl power). 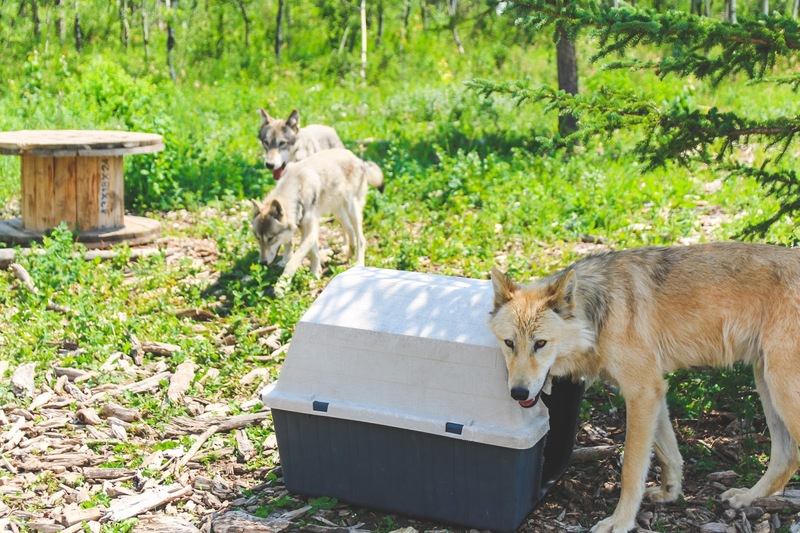 The three other wolfdogs in her enclosure/pack are also high content and are actually siblings, Quinn, Aspen and Grizz. Even though the tour was only about an hour long, you can definitely see their personalities in that time. 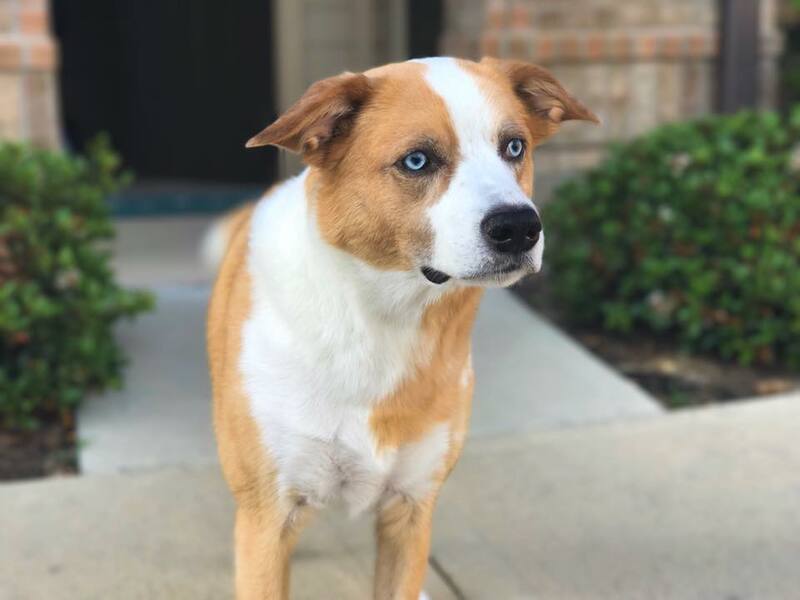 All of the wolfdogs are so cute and kind of remind me of my own dog, Jax. They also have two dogs (regular dogs, so don't worry) in the gift shop that are huge to say the least, one is a Giant Alaskan Malamute named Skookum and he loves pets. 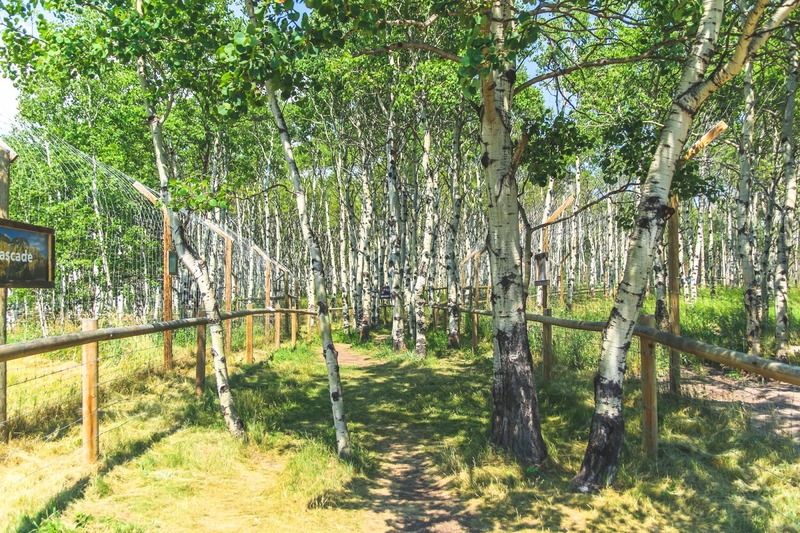 If you're going to be in Calgary or are heading to Banff National Park, definitely stop by this sanctuary.